Popffito is the home of Chin, a Graffiti/Pop Artist living and working in Manchester, England. Chin’s paintings and illustrations first began to appear in 2004 on music flyers and posters around East London where he lived at the time. Through his passion for indie guitar music, he began working alongside several bands involved in the local music scene at that time, helping to create their visual image by producing artwork for demo’s, flyers, VJ sets and record sleeves. His work is generally themed around iconic people and objects that have in someway affected his outlook on life. Musicians, cyclists, boxers and world revolutionaries have all received the Popffito treatment. 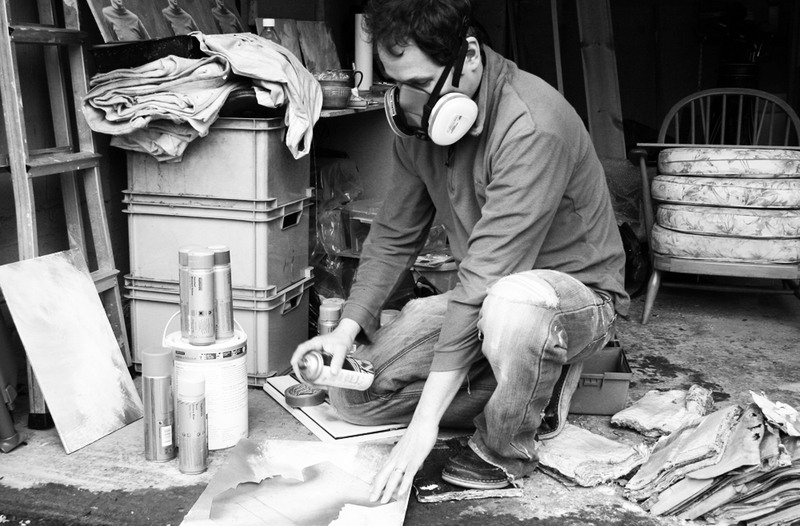 Late in 2013 he was invited by radio DJ Maryanne Hobbs to get involved in her ‘Art is Everywhere’ shows as a featured artist along side Turner Prize winner Jeremy Deller and Gary Hume. Shortly following these shows after being recommended by Maryanne, Chin was commissioned by the BBC to create a pop art poster to help promote the first ever BBC6 Music Festival to be held in Manchester. The results can be seen here on a time lapse video that captured the poster being created over the space of a day. The concept behind the poster is explained by the artist on the BBC6 Music Festival page of this site. Chin is currently working with music producer David M Allen developing work for an exhibition he hopes to hold in Manchester later this year. Great blog Chin. Like your work a lot. Thanks too for stopping by and liking my art. No problem, I’m liking your art, will keep popping in. Great stuff – thanks for following! love the art. Are any available to purchase, in particular, cyclist art? Hi Dave, in process of setting up online shop, which one did you like?